I love Persuasion. It is my favorite JA novel. P&P while much loved is third. Mansfield Park is in between the two. I love the idea of a second change after so many years and foiling nosy friends and relatives. This winter, when it's cold outside and warm & cozy under a thick, fluffy blanket ... 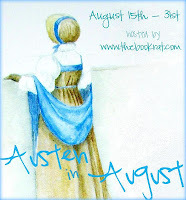 I am going to curl up with every Jane Austen classic I can find! And thanks, M.A.D.!! I hope you do, and I hope you stop by or find me on twitter and give me your thoughts! Misty, I really don't know where to start when I talk about MP. Fanny is impossibly mousy, but, I love an underdog. I love that with her limited resources, given less attention and overlooked by her cousins who had much more than she had physically she still had more common sense and thinking ability then they did. Aunt Norris used her for her own comforts and wrote her off as being "like her mother", but in the end, she had better sense than her mother too and worked to help her family out of their plight, while everyone accused her of not helping them when she refused to marry Crawford. I only elevate Persuasion over MP because I love, Anne, the traveling in Persuasion, "the letter". more than the elements I love in MP. I've loved these discussions, Misty, because they sparkle with so much passion about Persuasion! As for MP - bring it on! I didn't know there was originally no letter. What a loss that would have been! 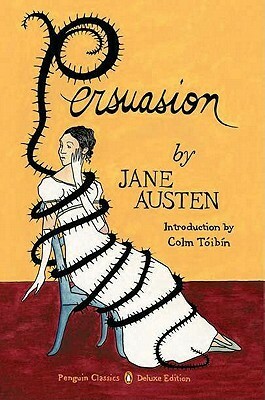 I love Persuasion and the letter bit is exquisite. The first time I read it, I immediately turned back the page and read it again. You know, I don't hate Fanny. I actually think the whole "down-trodden" thing could really work (I like Jane Eyre, after all), and I HATE Mrs Norris enough to consider her a legit villain, so it had potential. BUT what killed it for me a bit was that Fanny loves Edmund, and is so EFFING GRATEFUL for his "love" in the end. I feel like she deserves so much more than him, and it bothers me that that's her happy ending. The whole book leaves a sour taste in my mouth as a result.